Dockerfile is used to contain instructions for the docker. 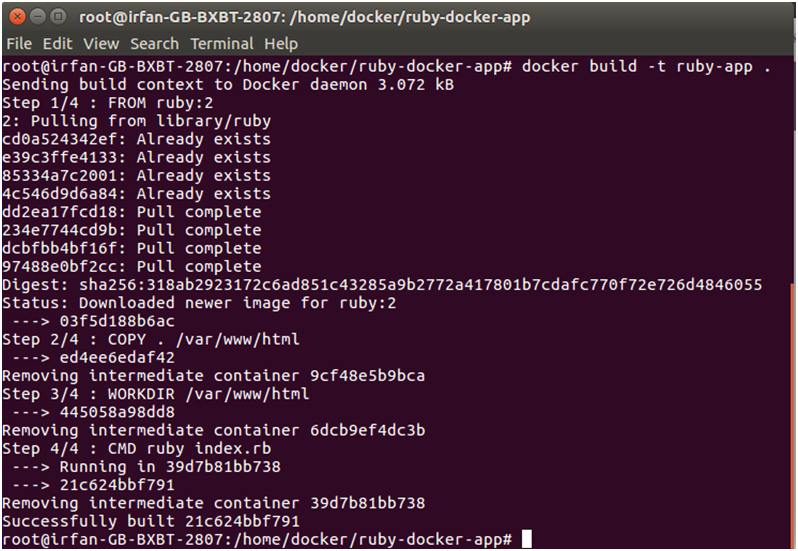 $ docker build -t ruby-app . In the above image, we can see that ruby script has been executed and prints the output on the console.